A magnificent four claw set cushion cut diamond centre stone with pear cut diamond side stones. This style is a modification for the classic round and pear cut combinations available. 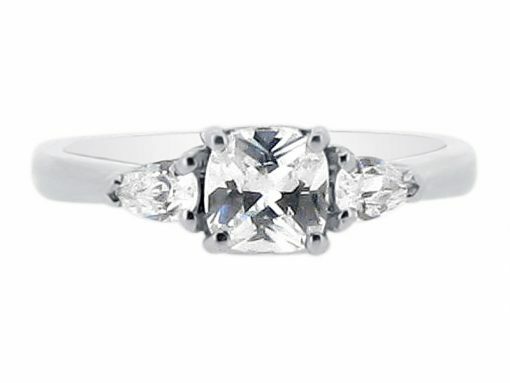 The cushion cut is a soft square shape that was developed to mimic romantic candle light.